Clogged evaporator coil. If the evaporator coil is clogged with dirt and lint, your HVAC system won’t be able to cool your home. Evaporator coils are a part of the system in which heat is absorbed by the refrigerant. They are responsible for making the cold air and they cannot do this job when they are dirty. Leaking refrigerant. The technician will need to find the leak’s source and fix it so that the system will begin to operate at its full capacity. Leaking ducts. A leak duct will cause the cold air to spill into the attic or between walls. Your technician will fix the leak so air will flow to the right place. A well-functioning air conditioner does not make any noise. But, if you hear clicking, banging, or hissing, it is time to call an HVAC technician. The strange sound could be due to a loose fan or screws, parts that must be lubricated, or clogged coil fins. Because the noise can have different causes, it is best to contact a technician to determine the cause and fix the problem. If your vents are producing a foul odor, there might dirty sock syndrome caused by bacteria growth within your HVAC system. This problem can be fixed so you will again be cool and breathing easy. 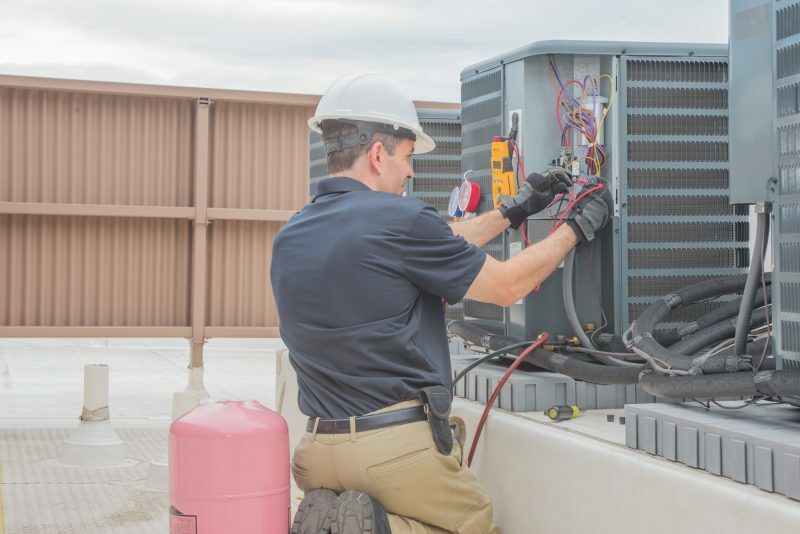 Your HVAC technician will clean the system thoroughly. In case you notice a brown circle on the ceiling or puddling near the system, this indicates an issue. The leak could be due to an overflowing pan, backed up condensate line, or clogged filter. It is easy to fix these problems but only if you are familiar with your HVAC system. Otherwise, you need the services of a technician.